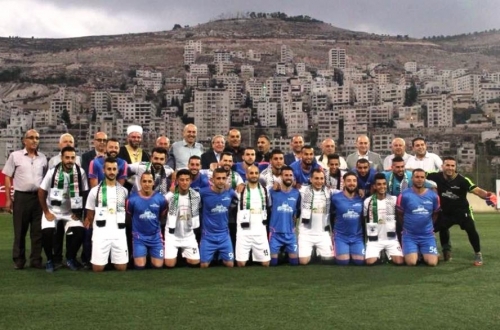 The Nabulsi families’ team played against the Jerusalemite families’ team on Thursday 05/10/2017 which was organized by Burj Al-Luqluq Center in cooperation with the Nabulsi Families Council. The Jerusalemite delegation went to Nablus with a number of known members including Burj Al-Luqluq Board and a number of representatives from Jerusalemite clubs and families. The match took place in Nablus with great enthusiasm and the Nablus team was able to beat the Jerusalemite team by 3 to 1 goals.